Hearts and Minds | What is safety culture? Much of the improved safety performance in industry over the last thirty years has been achieved by enhanced engineering design and equipment, and latterly through safety management systems. However, there is less scope for further improvement in those areas as safety performance is reaching a plateau. 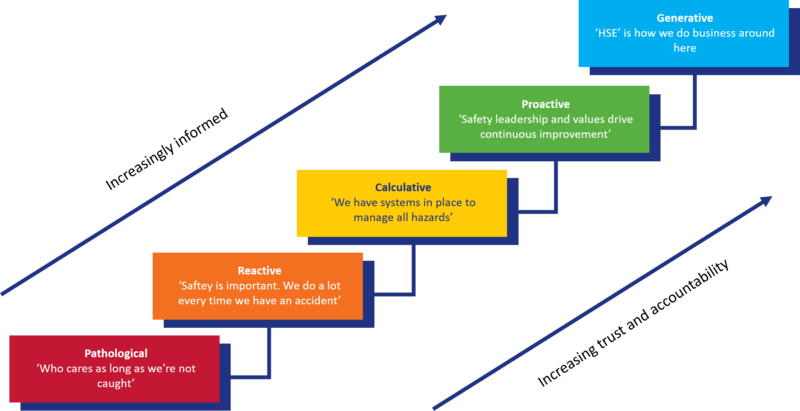 Safety culture is attracting increasing interest as it offers the possibility for delivering the next step change in improved safety performance. These barriers are not perfect and have the potential to (and will occasionally) fail. This potential is represented by holes in the 'cheese'. Usually the next barrier will catch the problem, but if all barriers fail - the holes align - an accident can happen. Increasing the number of barriers in place can help improve safety, however it is not practical or cost effective to simply keep doing this - and the barriers are only as effective as the people that implement them. Improving safety culture can be a more effective solution to strengthening barriers. Safety culture is an organisation’s beliefs and attitudes regarding safety, its place and importance in the organisation, and affects how safely people in the organisation behave. It is essentially ‘the way we do things around here’. Safety culture influences the environment in which people work and in which barriers operate. While hard work and a systematic approach form the necessary basis for implementing a HSE-MS, a good company safety culture that encourages people to work with rather than against the HSE-MS will allow the HSE-MS to flourish. managers do not manage, but show genuine leadership. See the ‘Generative organisations’ video for more information on high safety cultures. The overall “Route to the Top” (world-class HSE performance) means progressing up the HSE culture ladder, developing HSE maturity to become truly pro-active and generative. There are many advantages to be had from such improvement and these will have impact well beyond HSE performance. 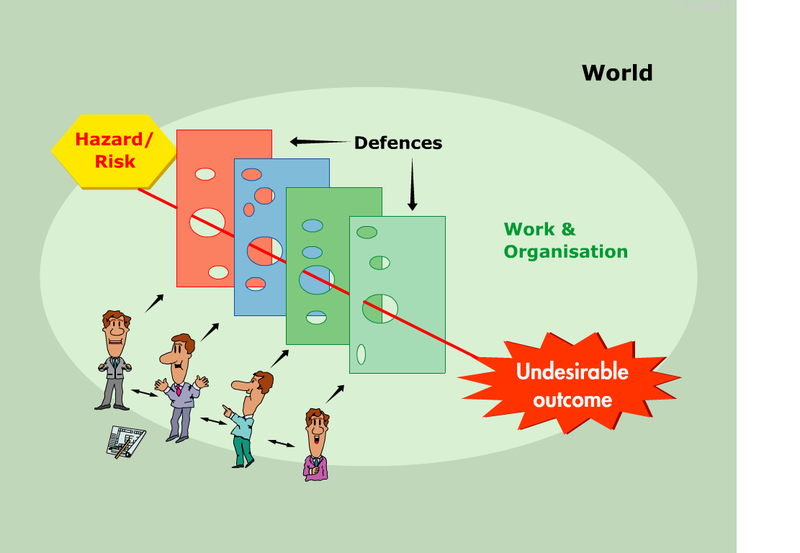 For example, workload may actually decrease as an organisation becomes proactive. Increasing trust and informedness can allow us to get on with our work without requiring extra supervision and control; audits become more efficient and directed, taking less time; managers can be left to manage, and workers get on with doing the job. See the Hearts and Minds Roadmap, which provides a structured plan for implementing change.